Once in a while, everybody finds themselves in a situation where they need instant money. Asking a small amount from friends and family seems okay but asking for a huge amount might not be feasible. Banks usually have a very lengthy process which is time-consuming and getting a quick personal loan from banks is next to impossible. The personal loan scenario is now changing in India. There are many instant loan app present in the market. These loan apps will give you an instant loan with much lesser paperwork. The process is quite simple and you don’t have to visit any bank or branch to apply for it. 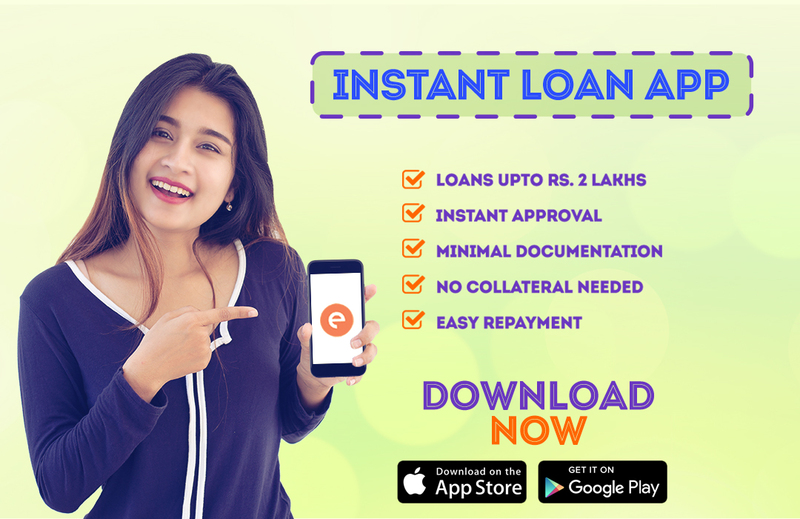 People apply for a personal loan on the instant loan app for various reasons like medical emergencies, unpaid instalments, for travel expenses, for home or car repair expenses, to buy a new phone or any other large asset. You are eligible to take a personal loan as per your wish. Ever wonder what is an instant loan and how does these instant loan apps work? These are nothing but app only loans which you can avail by downloading it from Google play store or Apple app store on your smartphone. You can register yourself on the app via your social media logins. Enter your basic details like name, number, address, and bank account to complete your portfolio. You can then enter your loan amount. It ranges from ₹10,000 to ₹1 to 2 lakhs. The duration of the loan can be 15, 30, 60, 90, 180 OR 360 days. You need to submit the required documents from your smartphone. The instant loan app will then review your request. You can check your loan status on the app. Once the loan is approved the amount is transferred to your personal savings account within a few minutes. Income Proofs – For income proof, you have to submit your 3 to 6 months’ salary slips of a registered employer. Your bank statement with salary credited of the last 6 months will be required too. You have to be between 23 years to 58 years old to be eligible to apply for a personal loan via app. You have to be a resident of India, working with a registered company. On the due date, you can repay the instant loan app via bank transfer or cheque deposit. The app will send you alerts once the due date is near.